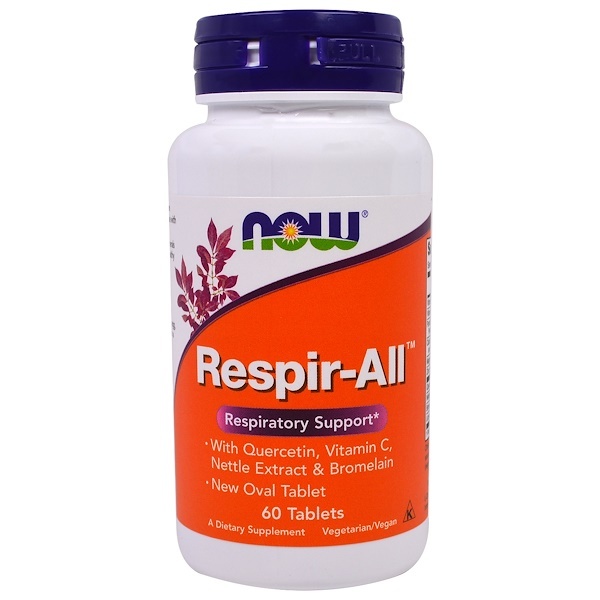 Respir-All is a combination of key vitamins, minerals and herbal extracts that nutritionally supports healthy respiratory functions. 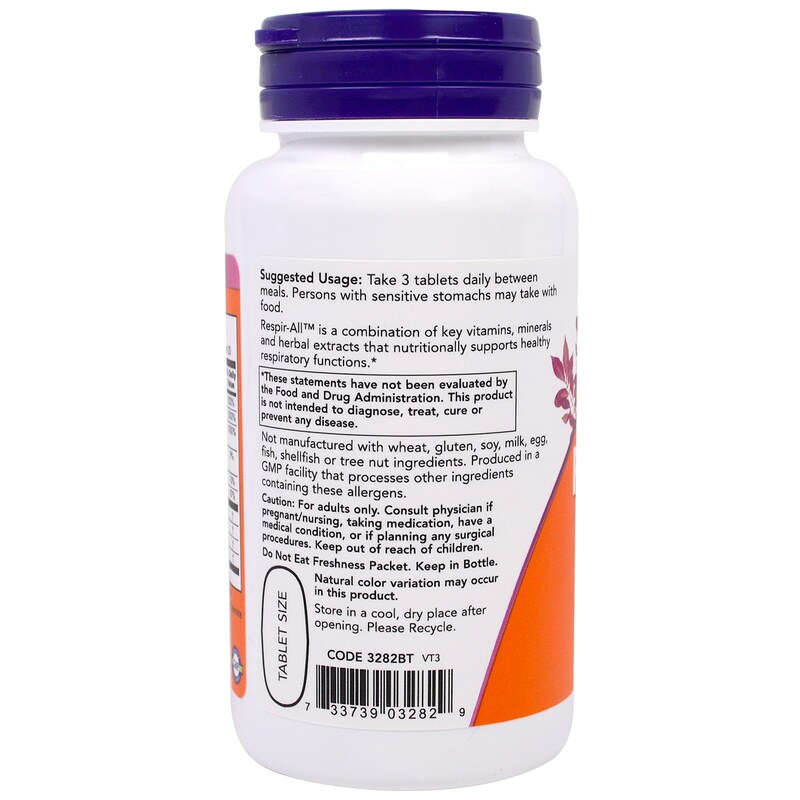 Take 3 tablets daily between meals. Persons with sensitive stomachs may take with food. Not manufactured with wheat, gluten, soy, milk, egg, fish, shellfish or tree nut ingredients. 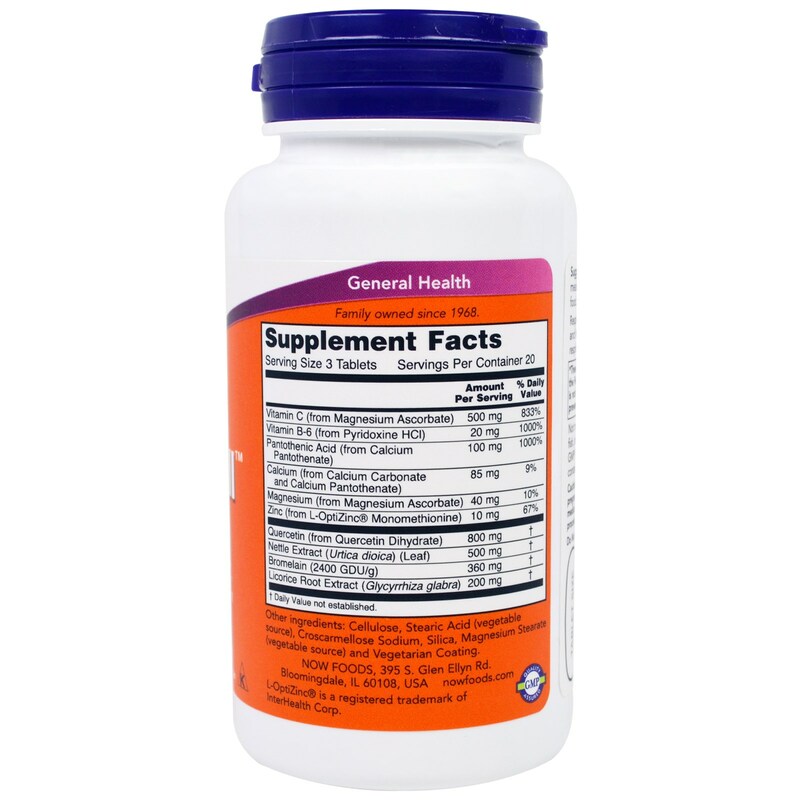 Produced in a GMP facility taht processes other ingredients containing these allergens. Caution: For adults only. Consult physician if pregnant/nursing, taking medication, have a medical condition, or if planning any medical procedures. Keep out of reach of children.